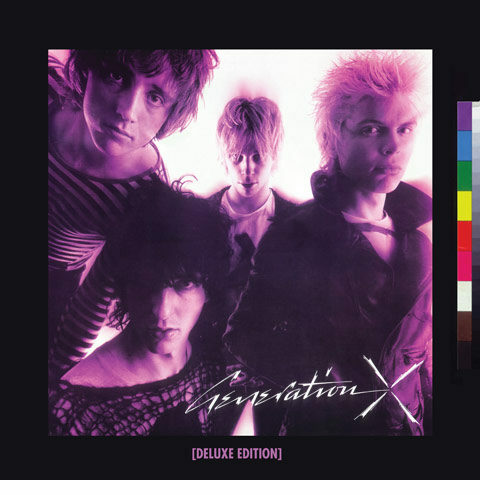 Chrysalis are set to release a deluxe edition of Generation X, the self-titled 1978 debut album by one the British punk band that featured a young Billy Idol. As well as Idol, the band featured Tony James (bass), Bob ‘Derwood’ Andrews (guitar) and Mark Laff (drums). Two non-album singles (‘Your Generation’ and ‘Wild Youth’) preceded the album, while a third, ‘Ready Steady Go’, was included when the long-player was released in March ’1978. The new deluxe edition has been remastered from the original production tapes and is available as both a two-CD and a 3LP vinyl set. 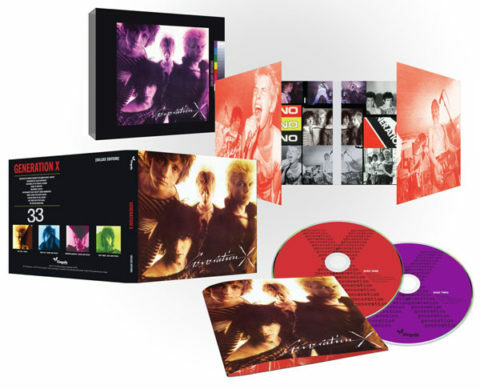 Both include all the A-sides and B-sides from this era, along with 11 previously unreleased recordings including some unheard mixes created a the time by Alan Winstanley, prior to producer Martin Rushent completing his final mix of the album. This deluxe edition comes with previously unseen photos and newly commissioned sleeve notes from Adrian Thrills and is released on vinyl and CD on 26 April 2019.